"Tell the story to its end," says Eren with a grin. His yellow eyes are glowing like embers in the night. "When I reach the end," I say, "what happens? You'll have the whole story." "Hmm," he says, looking at me and licking his lips with a dry, grey tongue. "What happens then? Why don't we find out?" Eren is hungry for stories. Eren has been waiting for him. With Eren to listen, Oli starts to make sense of what's happening. But Eren is powerful, and though he's willing to help Oli, he's not willing to do it for free; he wants something in return. Oli must make a choice: he can learn the truth -- but to do so he must abandon himself to Eren's world, forever. From striking new voice Simon P. Clark comes Tell the Story to Its End; richly atmospheric, moving, unsettling, and told in gorgeous prose, it is a modern classic in the making. 'Tell the story to its end,' says Eren with a grin. His yellow eyes are glowing like embers in the night. Simon P. Clark grew up in England, has taught English in Japan, and now lives in New Jersey. He is a founding member of We Are One Four bringing together UK & US authors with MG/YA debuts, in order to promote one another's work and spread awareness. 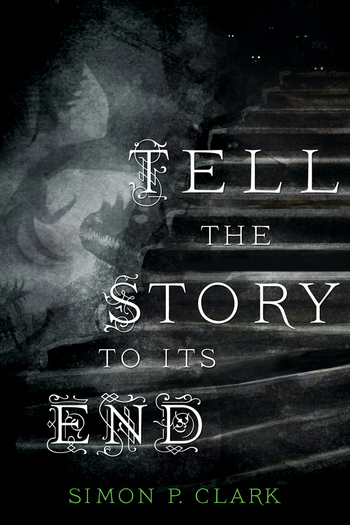 Tell the Story to Its End is his first novel.